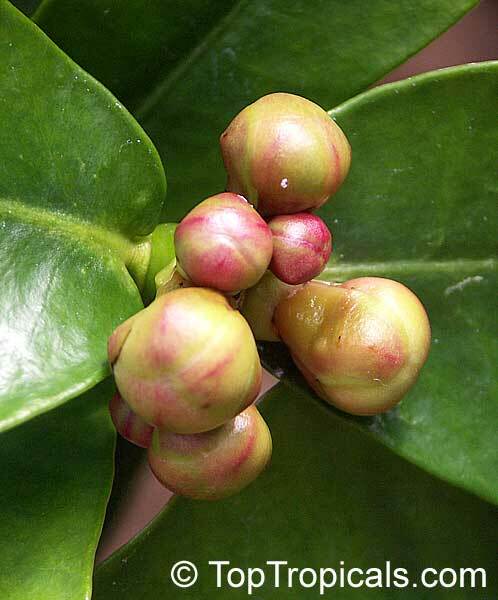 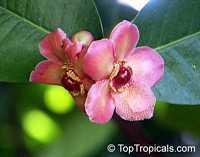 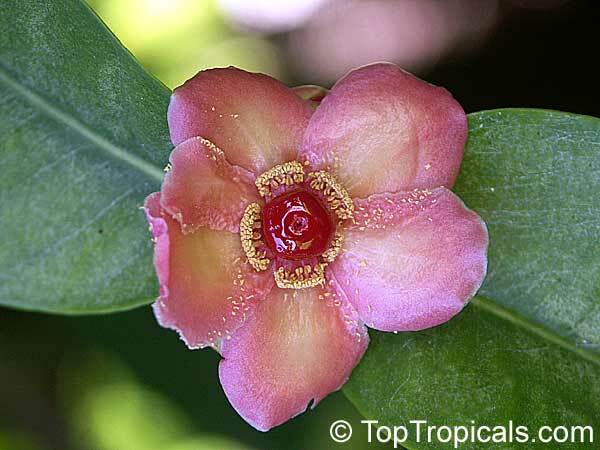 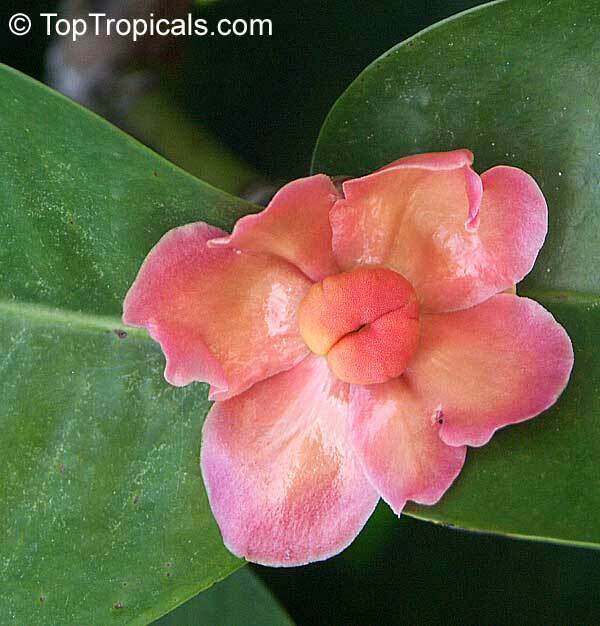 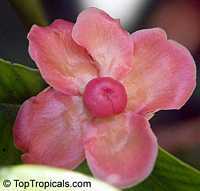 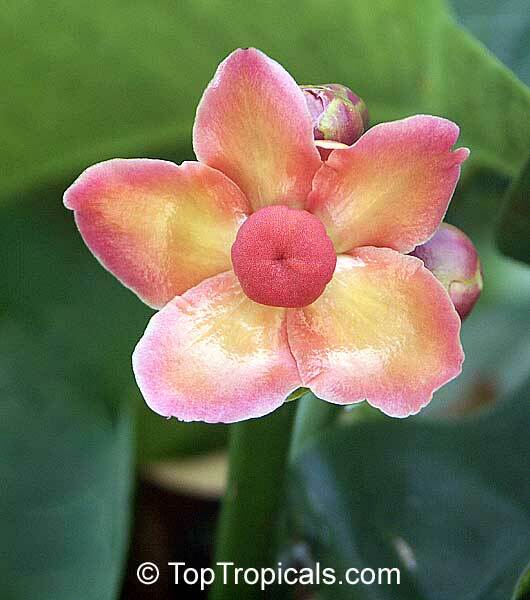 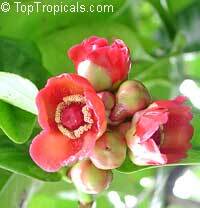 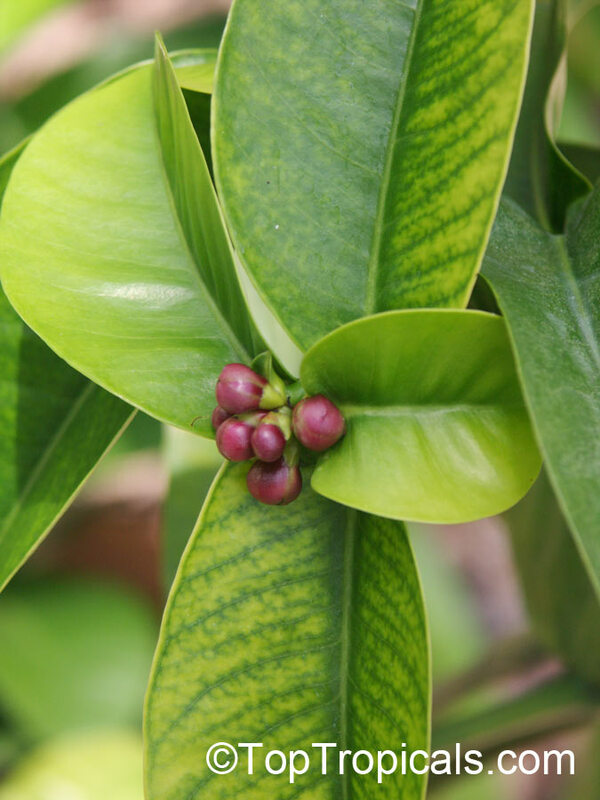 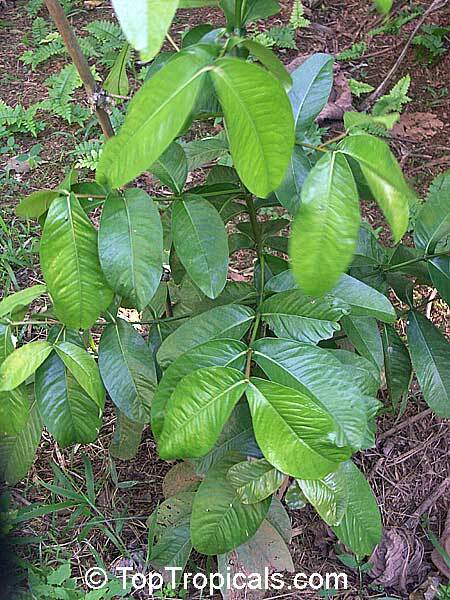 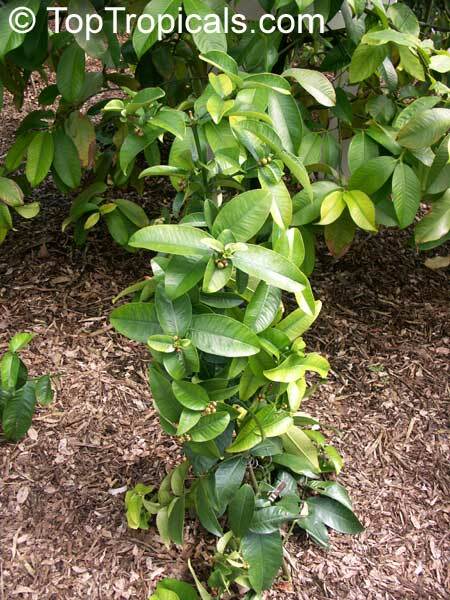 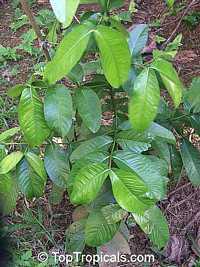 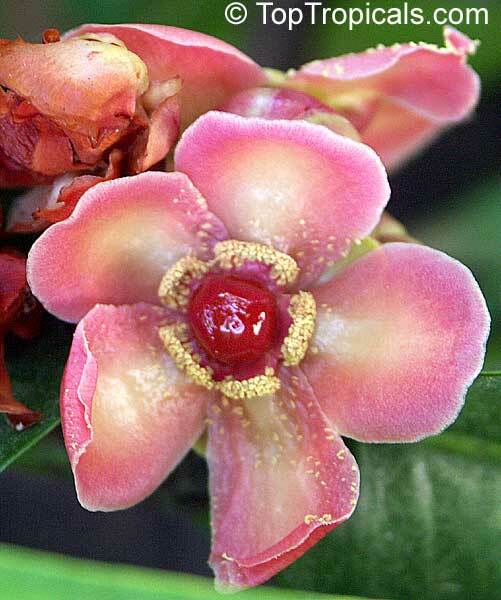 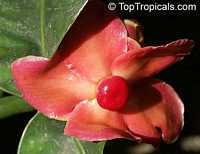 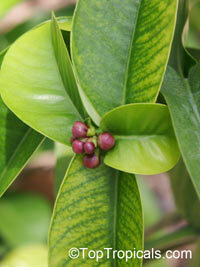 Small tropical fruit tree with glossy leaves and very fragrant reddish-pink flowers. 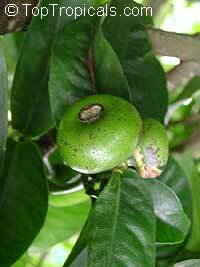 Deep within the verdant rainforests of Borneo, Cherapu Garcinia prainiana plants begin a most ancient of rituals. 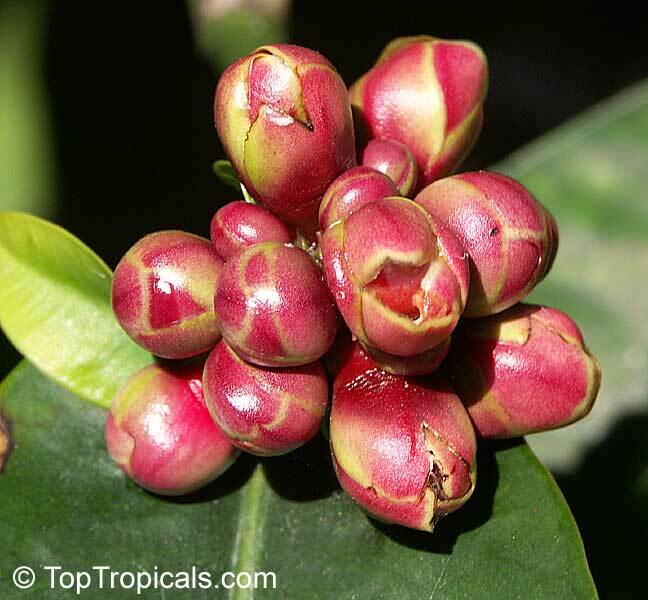 Amidst the dense foliage, small red flowers emerge like jewels from the deep green branch tips, effusing their sweet aroma in hopes of seducing tiny insects. 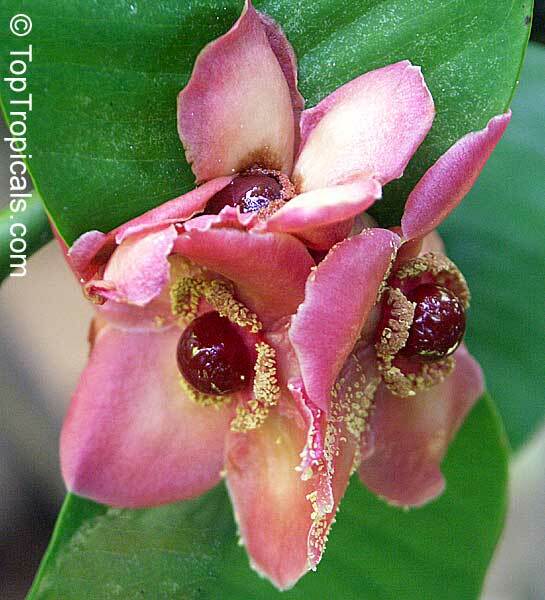 Beneath the tropical sun, the insects flitter playfully among the male and female blooms, unwittingly pollinating their thankful hosts. 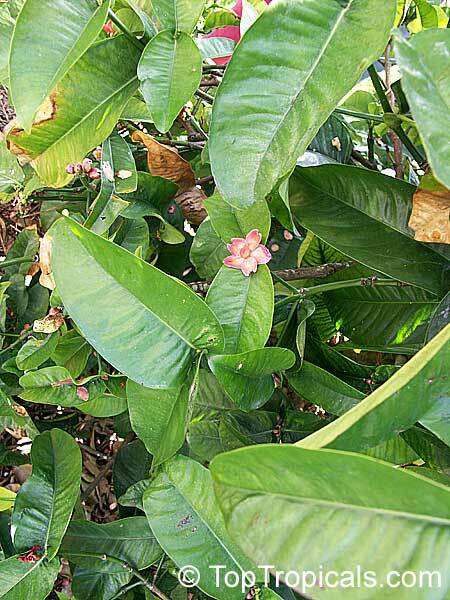 Brilliant orange fruits have very pleasant taste, with unusual sweet-sour flavored pulp. 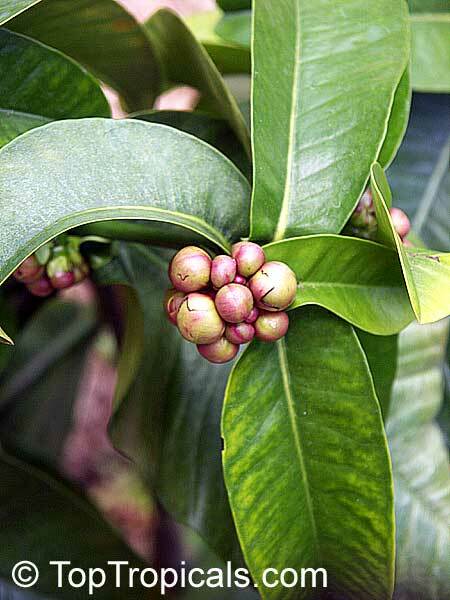 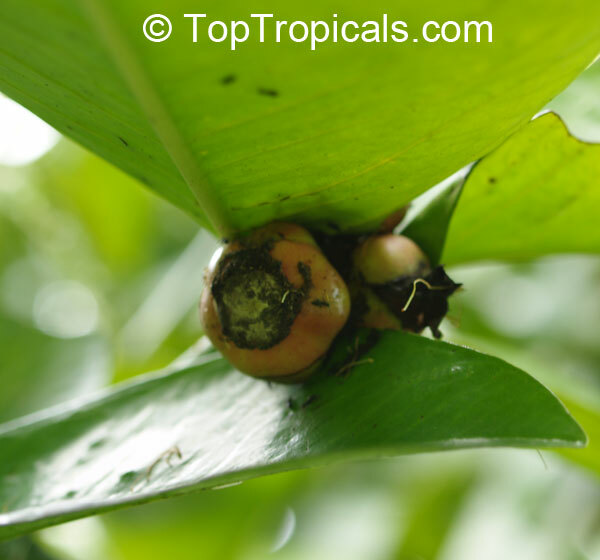 The fruits are smaller than the mangosteen. 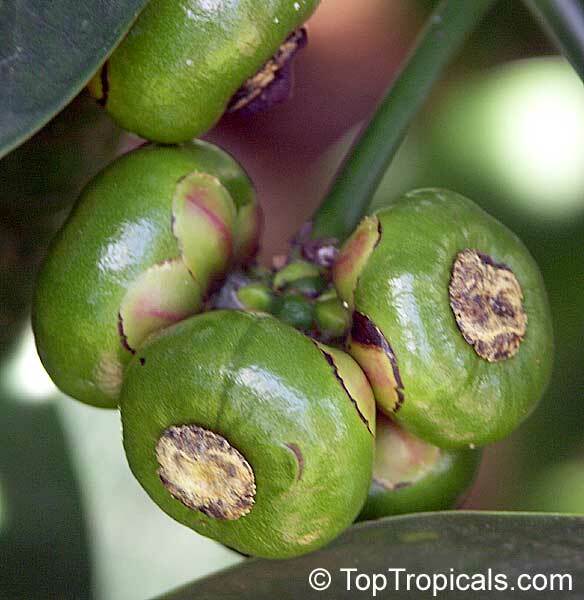 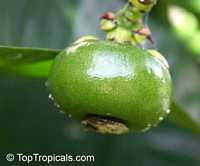 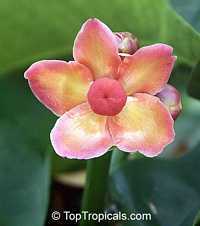 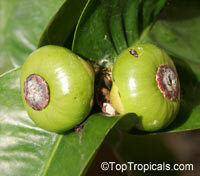 Button mangosteens are excellent plants for container growth. 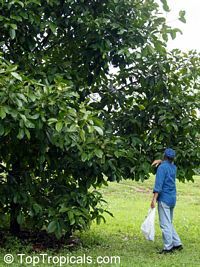 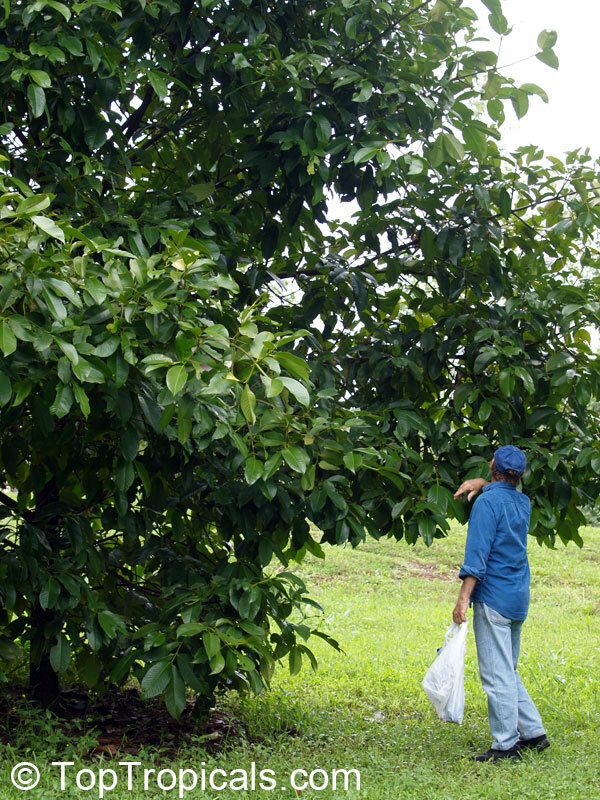 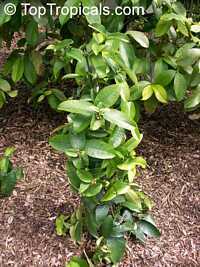 The trees are very slow growing but long-lived and can fruit when only a few feet tall.